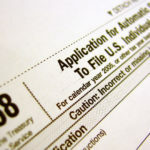 April 15 is the tax day deadline for most people. If you’re due a refund there’s no penalty if you file a late tax return. But if you owe taxes and you fail to file and pay on time, you’ll usually owe interest and penalties on the taxes you pay late. The number of electronic filing and payment options increases every year, which helps reduce your burden and also improves the timeliness and accuracy of tax returns. However, the law provides that the IRS can assess a penalty if you fail to file, fail to pay or both. If you do not file a tax return or extension by the deadline, you might face a failure-to-file penalty. If you do not pay by the due date, you could face a failure-to-pay penalty. The failure-to-file penalty is generally more than the failure-to-pay penalty. So if you cannot pay all the taxes you owe, you should still file your tax return on time and pay as much as you can, then explore other payment options such as getting a loan or paying by credit card. The IRS will work with you to help you resolve your tax debt. Most people can set up a payment plan with the IRS using the online payment agreement application on the IRS.gov website. The penalty for filing late is normally 5 percent of the unpaid taxes for each month or part of a month that a return is late. This penalty will not exceed 25 percent of your unpaid taxes. If you do not pay your taxes by the due date, you will generally have to pay a failure-to-pay penalty of 0.5 percent of your unpaid taxes for each month or part of a month after the due date that the taxes are not paid. This penalty can be as much as 25 percent of your unpaid taxes. If you requested an extension of time to file your income tax return by the tax due date and paid at least 90 percent of the taxes you owe, you may not face a failure-to-pay penalty. However, you must pay the remaining balance by the extended due date. You will owe interest on any taxes you pay after the April 15 due date. If the 5 percent failure-to-file penalty and the 0.5 percent failure-to-pay penalty both apply in any month, the maximum penalty amount charged for that month is 5 percent. © 2019 Hunter CPA Group. All Rights Reserved.